I have been trying and loving this Daiso EyeBrow Gel ever since I got this. I would like to share this on my blog and let you guys know whether is it worth the hype at all! I did a wear and test on my Instastory too. 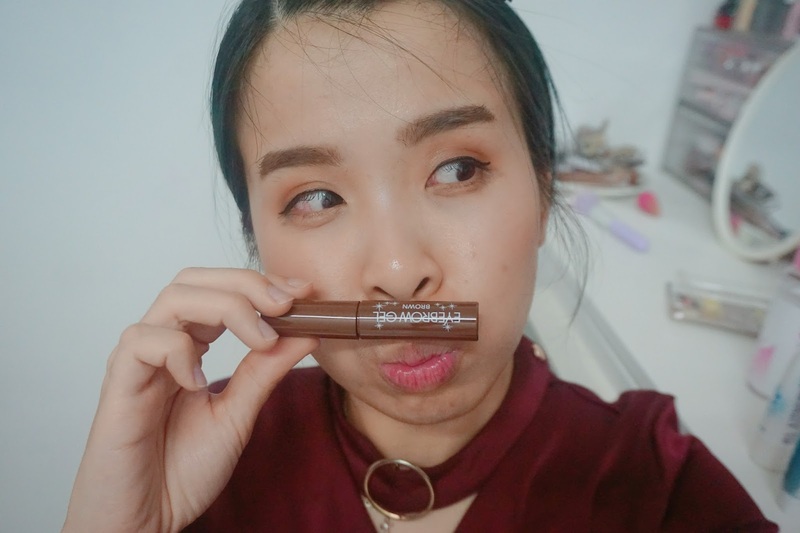 If you curious how long-lasting this eyebrow gel is, do visit my instagram.com/snowmansharing to check it out. 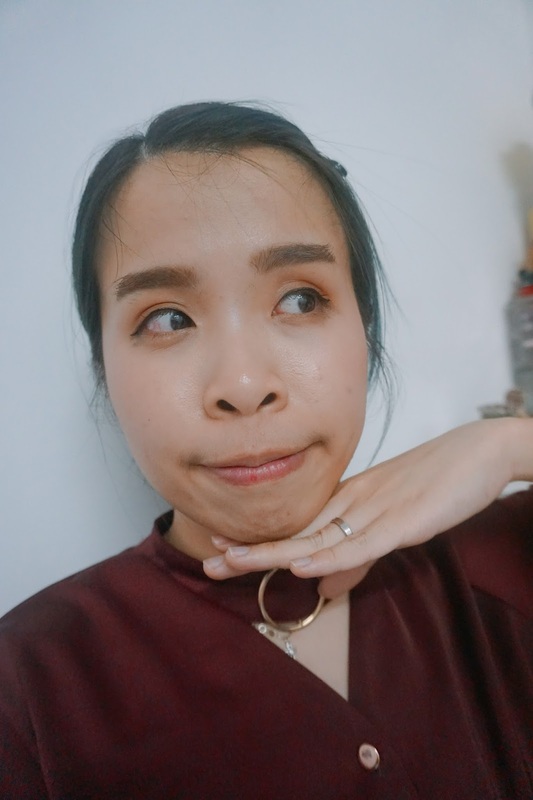 Can you guess which side of my brow that I apply the brow gel? A closer look to see which side of my brow looks different. 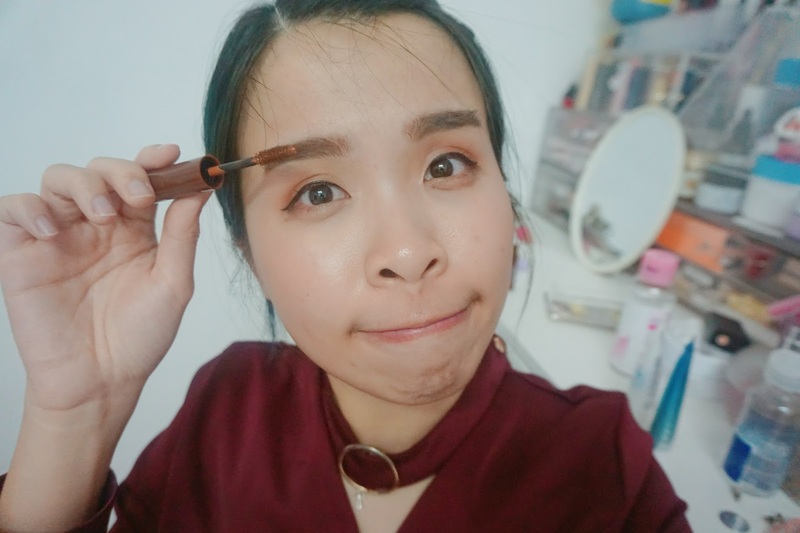 Apparently is left brow that looks more natural and combs with the Daiso EyeBrow Gel in Dark Brown. When I first apply and I really like how it actually looks like on my brow. 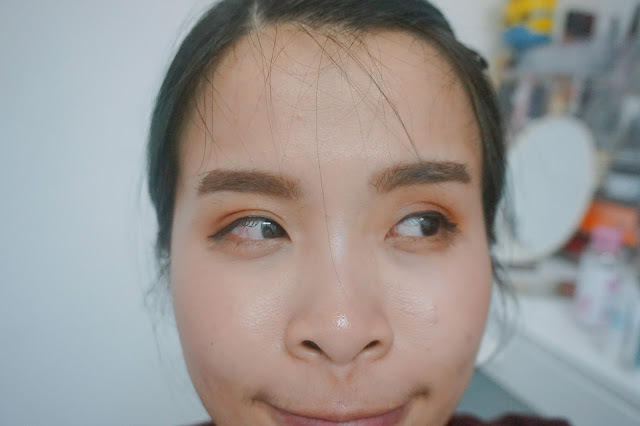 Since I am using a dark brown brow pencil to draw and fill in color, somehow my brow hair is black and it makes my brow looks messy and uneven too. The answer will be on my left brow (from the picture). 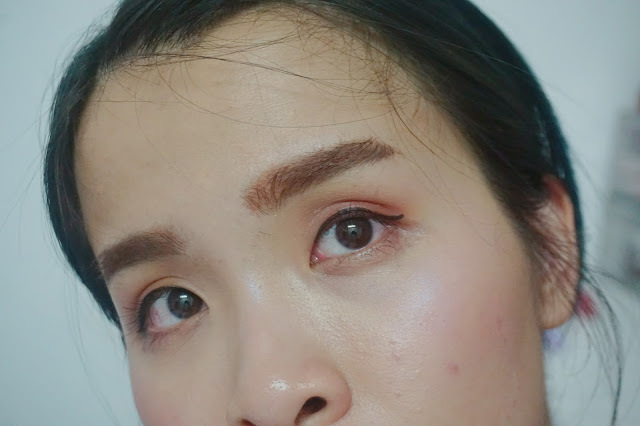 Here's to show you guys the differentiate of how the brow gel effect on my brow! 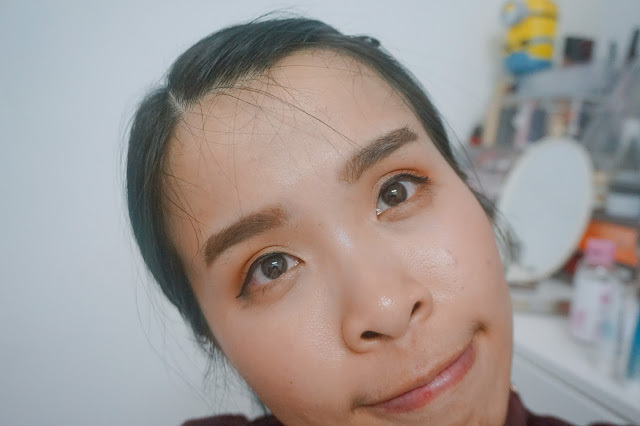 Before: The top image you can see that my black eyebrow hair is so messy and so obvious since I only fill in with an eyebrow pencil. After: For the bottom image, my eyebrow looks so natural and in brown color after I apply Daiso EyeBrow Gel in Dark Brown color! 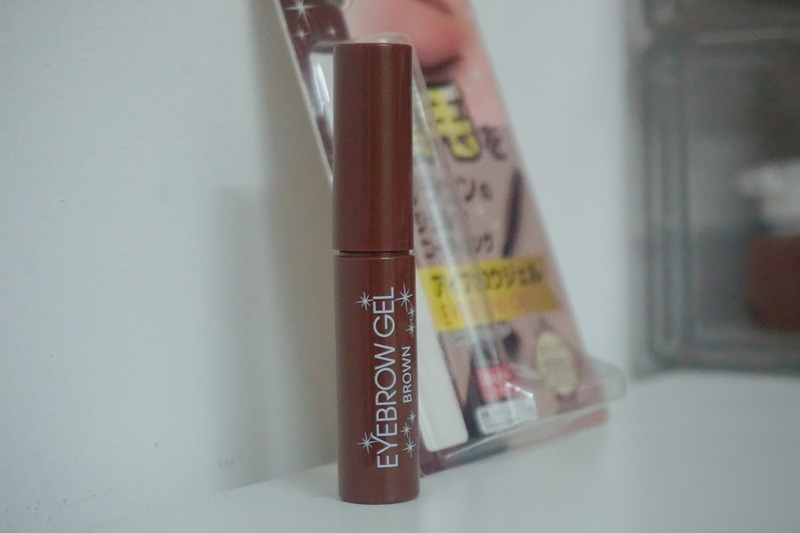 The conclusion is I really adore this brow gel, as it can easily help me to achieve natural brow after apply. 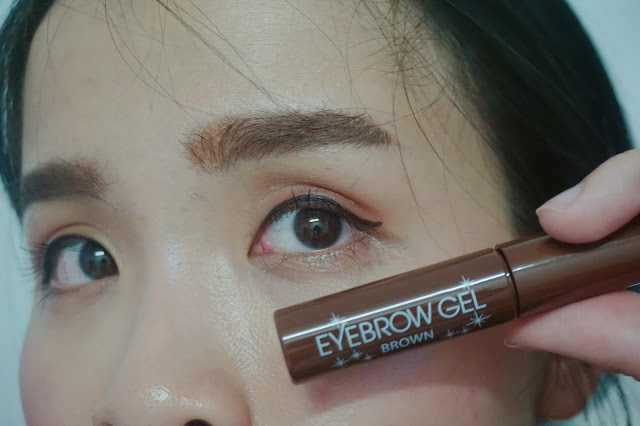 I rarely color my brow in black or grey color so this Daiso EyeBrow Gel in dark brown is perfect for me since I always use dark brown color for drawing and filling in. I never know brow gel can actually improve my entire look with a natural brow look. 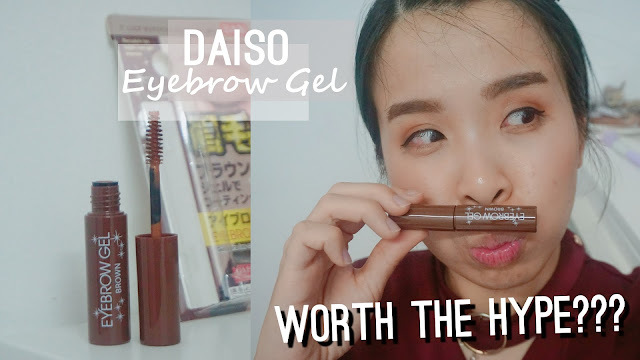 I am loving this Daiso Eyebrow Gel and will keep using it when I have makeup on. How's the brush applicator looks like? I wouldn't say it has the softest or finest brush applicator but for me, it works still fine for me since I have a thick eyebrow hair. 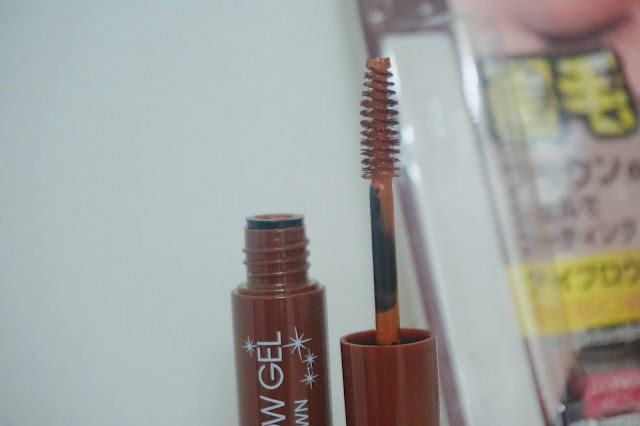 It still easily brushes through my eyebrow hair and helps create a really natural brow look. There is another color which is in Clear, I did not try that out so not sure how's the effect will be on the brow. If you want me to try out and experience it as well, do let me know. So I can purchase when I saw it! Yes!! I always use dark brown pencil eyebrow though! The effect is great even for such a low-priced beauty product. Would love to see how Clear would look on you. Let me try it one day and share too! I went to Daiso so often but have not try their cosmetics products before, looks like this one is not too bad for its price range. Yes exactly! Can't wait to try more! Nice! 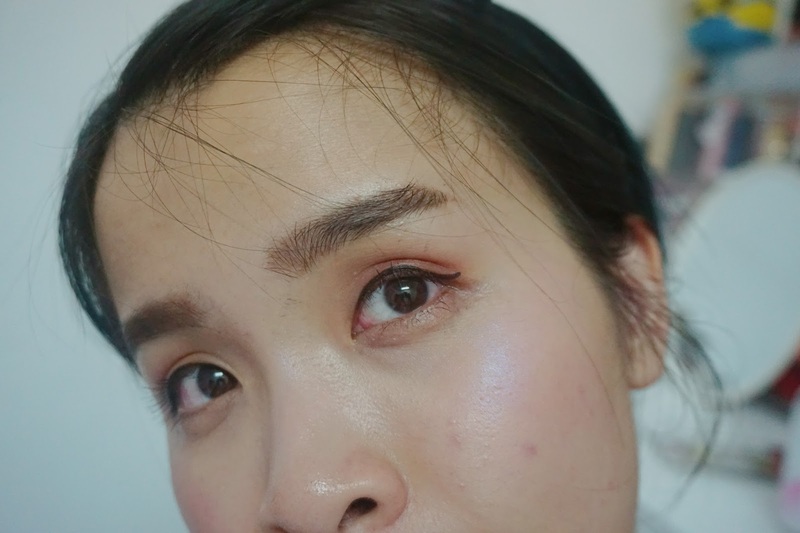 It looks like it's smoother to apply eye liner too after using the gel! You look nice with this Daiso EyeBrow Gel. I am surprised it only cost RM5.90 which is very cheap and yet so effective in giving a good look.